Here we are, a few days before the beeriest trip to the North Shore, and I am giddy due to the weather report! 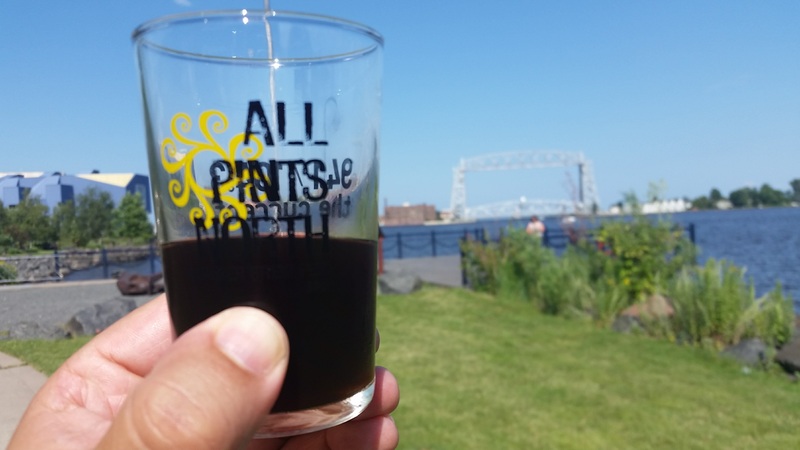 The sold-out All Pints North is put on by the Minnesota Craft Brewers Guild and takes place at Bayfront Park in Duluth this Saturday. 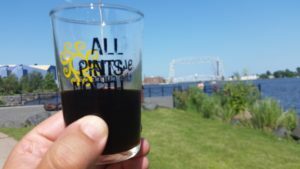 The breezes wafting off Lake Superior will make you happy to try some of the decadent and dark stouts that have been resting in barrels along with all the lighter summer lagers, IPAs, and sour beers that are representative of a wonderful summer. Bayfront Park in Duluth is a beautiful venue for a beer festival. There are plenty of grassy open spaces to sprawl out and stare longingly at your tasting glass. 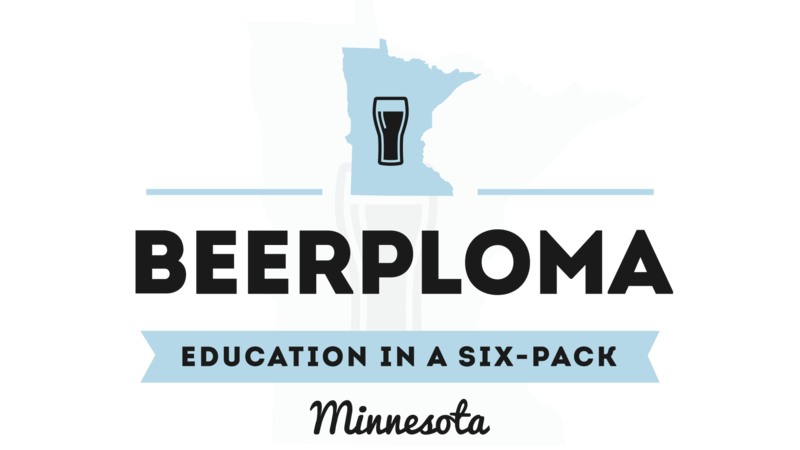 There is also an impressive list of MN breweries to sample from. As a matter of fact, MN breweries are the only ones you will find this year at All Pints North. This is a change that I have heard some grumbling about. I hope that the overall quality of offerings doesn’t suffer in favor of the broader showcase of local beers. All Pints North has been a jumping off point in the past for breweries entering Minnesota’s marketplace. I know that Nebraska Brewing Company (2014) and Cigar City Brewing (2017) both debuted at this festival in year’s past. While I am all for giving more exposure to local MN breweries, I will miss some of my favorite regional breweries like Empyrean Brewing, Great Lakes Brewing, and Odell Brewing because they always seemed to bring great beers to the festival. After perusing the online app and seeing all the beers that are being poured, I see that there is going to be something for everyone. I strongly recommend downloading the app and taking a look at what is being poured. Some of the rare and exciting beers like Threat Level Midnight from Barrel Theory are tapping at a specific time and you don’t want to miss them. I also think it is a good idea to make sure you are giving some love to places you haven’t been to yet. I have a little something for everyone here. Summer is typically the season for “crushable” beers that are light in body but big on flavor. For me, this means IPA, Kölsch, Pilsner, and fruited sours. However, there are also some bigger beers that are worth your time to try because they are either harder to find or came out several years ago and are still drinking fantastically. I love this beer and still have 7 bottles in my cellar. 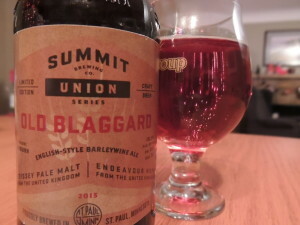 This beer came out as part of Summit Brewing’s Union Series at the end of 2015, and it is a fantastic beer. Birthed from the creative genius of Damian McConn himself, this beer has malty notes of toffee, caramel, and dark fruit. It is a sipper for sure and I think the sample portion will keep a lid on people streaking naked into the Gitchee Gumee. . . hopefully. The body on this beer is smooth with no heat from the hefty ABV. I am sure it has mellowed even more with time and will be as smooth as silk. This newly awarded U.S. Open Beer Championship Gold Medal winner is a testament to brewing artistry. 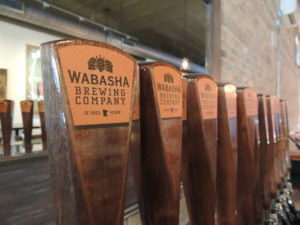 Wabasha Brewing’s Head Brewer showcases the vegetal quality of the jalapeño without blowing out your palate with heat. He also smokes them so you get a lot of complexity in the beer. There is a hint of warming at the back of your tongue, but it is balanced with the effervescent and refreshing nature of a cream ale. This beer is awesome on its own, but if you can find any Mexican Food at the fest, pair the two and thank me later. I had 3 pints of this the other night at the Bad Weather taproom and it is great. A nice clean and crisp lager with a nice hoppiness. There is also a fabulous bready and almost light caramel sweetness in the malt for balance. 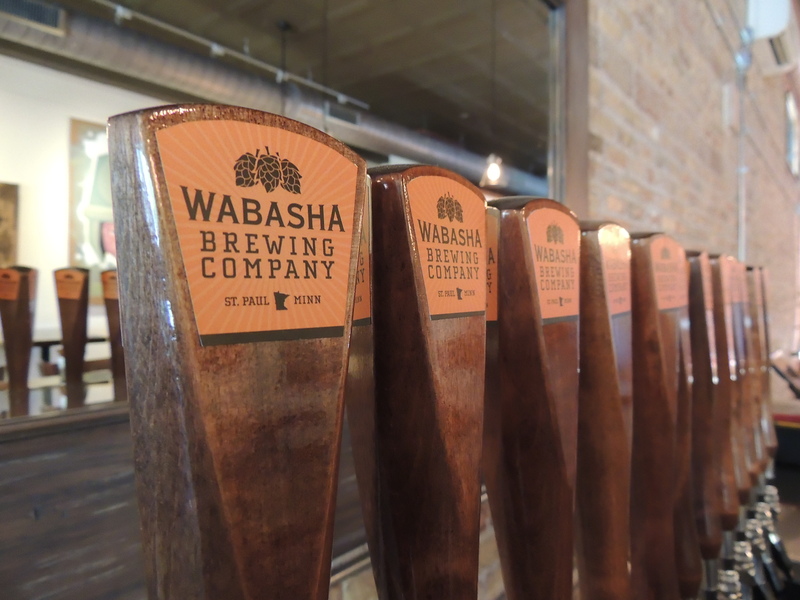 Andy Ruhland shows once again that he knows how to successfully brew a quality lager. I think this will pair nicely with perfect weather and fun. Another style that I wish had a great exposure. An old ale is a malt lover’s happy place. This particular beer is smooth and has wonderful toffee and molasses notes. Spilled Grain Brewhouse never disappoints and I think you will agree that they have some quality beers. The Bearded Man recently took home a bronze medal at the U.S. Open Beer Championship, so I believe it is worth your time. Collaboration beers are a fun way for brewers to get together and play. The results are usually a confluence of brewing knowledge and alchemy. There are several beers that are the results of these collaborative efforts and here are some of them to keep in mind. A preview of some of the wonderful things you will try if you go to Lupulin’s IPA Invitational. I am sure that this will make the hopheads purr and speak in tongues. Though I have not tried it yet myself, I have heard that it showcases some South African hop varieties that give it a lively and fruity flavor along with some nice bitterness. 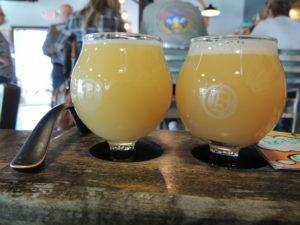 Odd13 Brewing is a fantastic brewery out of Lafayette, CO, and they are known for flawless IPAs. You might be able to figure out why this collaboration is more of a reunion of sorts if you really think about it. When Barrel Theory does a beer like this, it comes out superbly. If you add in a little bit of the Todd Haug genius from 3 Floyds, well, you might want to have a safeword in mind in case the whole thing is too much for you. This Gose has tart cherries and lactose and I am sure will blow everyone’s minds. I am not sure how long this will be around in the taproom so you might as well try it while you can. Dangerous Man put a barleywine into a Vikre Distillery Sugarbush Whiskey Barrel. This is a fun collaboration that combines a Minnesota brewery with a Minnesota distillery. I am sure that this will be excellent because anything Dangerous Man puts in a barrel turns out to be amazeballs. Unmapped Brewing and Lupulin Brewing collaborated on this together and I am excited to try it. A dark lager with more vowels in its name that degrees Plato should be fantastic. 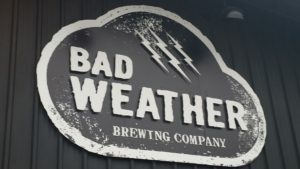 Both of these breweries are near and dear to my heart because their brewers are some of the nicest and down-to-earth people you will meet. This beer is going to be good. 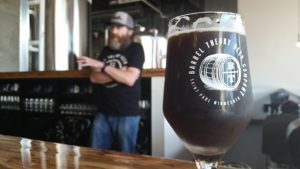 So, I gave you some things that I am pumped for, but I know that the wide world of beer geeks also has a wealth of knowledge about what constitutes a good beer. So, I am asking for a favor. In the comments section of this article, please give a few ideas or things that you are excited about for this year’s All Pints North. Prost! Hello! We’re really excited for APN this year! Fitger’s Brewhouse will have The Haze IPA (ABV 7.4), Bumbleberry Pie Session Sour (ABV 4.3), Blood Orange IPA (ABV 7.6), and Stanley’s Pivo Boho Lager (ABV 5. 2). We’re also tapping The Fitz Aged Imperial Stout (ABV 8.0) at 5:15pm! It’s going to be EPIC! Stop by our tent and say “hi”! I definitely will be doing that! Love coming to spend time in your fair city! Cheers!